Replacing spalling or damaged bricks is much more effective to the buildings structure and appearance than repairs. It is very hard to always source the exact match but we try our utmost to get a nearest match as possible ie: size (imperial - metric) colour and texture to the adjacent brickwork. If the brickwork is more dense a lightweight Hilti breaker may be used. 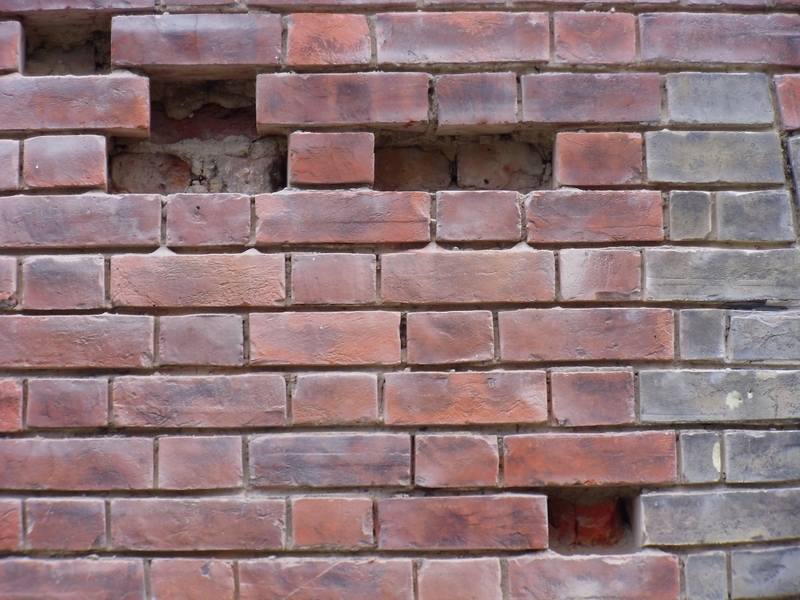 Replacement bricks are then bedded in usually with the mortar that the structure was originally built with ie: Lime Mortar or Sand & Cement , we ensure that the mortar is packed to the back of the the replacement brick so there are no air pockets or cavities between the bricks themselves. Sometimes repairs may need to be done. 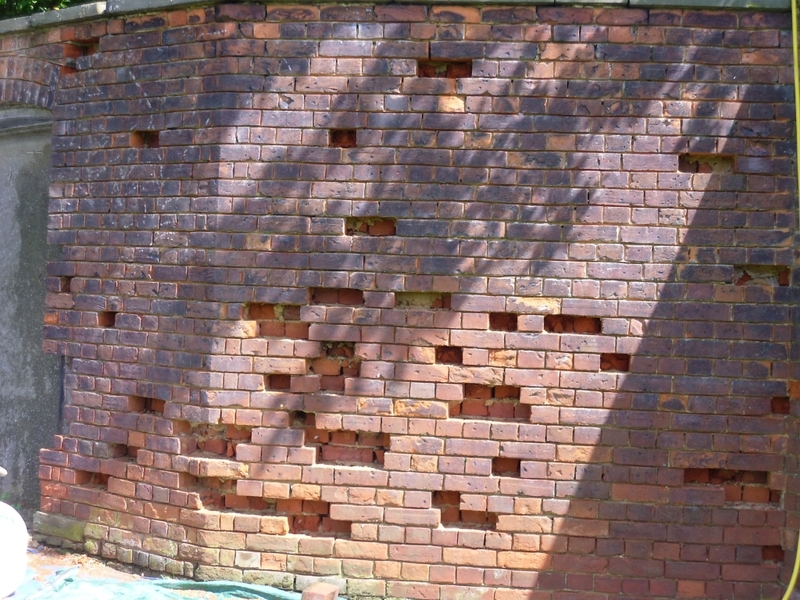 Brick repairs are more common with soft red bricks as this brick is a more chalky brick and under the extreme weather conditions we have they are more likely to blow and deteriorate. In the event of deterioration the surface will be carefully cut back to a depth of 25mm-30mm with a comb hammer or chisel and then painted with a unibond solution ready for application of coloured mix. The coloured mix will comprise of a 3.1 sand and cement gauge. Coloured dye will be added to the sand and cement to obtain the correct colour match. Stone repairs are again more common in Bath and Mansfield stone as this is a softer material than York or Portland stone. The defective stone will be cut back to a depth of 25-30mm and painted with a unibond solution ready for application of new stone mix. The stone mix comes in a pre-mix pack from a stone supplier which as all the ingredients as natural stone does.